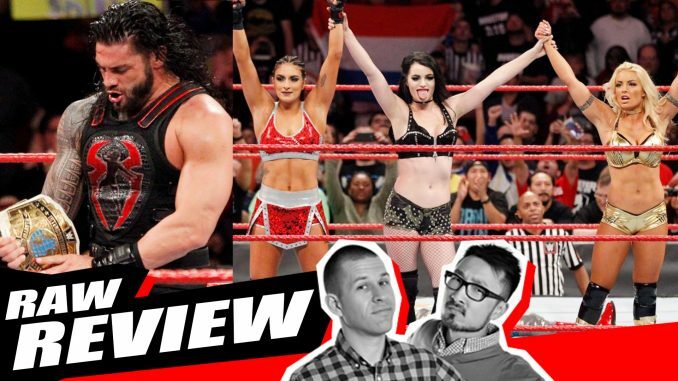 John Pollock & Wai Ting go through Monday’s Raw coming out of the Survivor Series, Roman Reigns wins the Intercontinental title, Paige returns and aligns with Mandy Rose & Sonya Deville, Jason Jordan confronts Triple H and Braun Strowman and more. Pollock shares his thoughts on the Kevin Owens “365” special on the WWE Network. Wai goes through his live experience at Korakuen Hall this past weekend for the NJPW World Tag League Tournament opening night.